Our galaxy wasn’t always the beautiful cosmic ballet it is today. 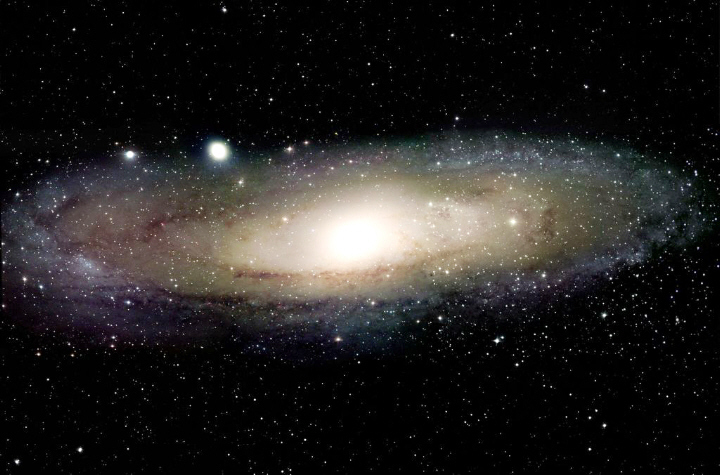 Billions of years ago, the Milky Way was a chaotic jumble of stars and gas moving every which way. Only over time did the Milky Way morph into its current uniform shape, with flat arms of starlight reaching out from a galactic core. Now, a new NASA study shows this process happened much more recently than scientists had thought. Featured in the Santa Cruz Sentinel (Pg. C1 & online, second most viewed story for January 2013) and the San Jose Mercury News (Pg. 1B & online).